We are extremely excited to share with you we were lucky enough to work again with our friends at Oct28 Productions and Torres Studios, to film an internal video for Twitter. 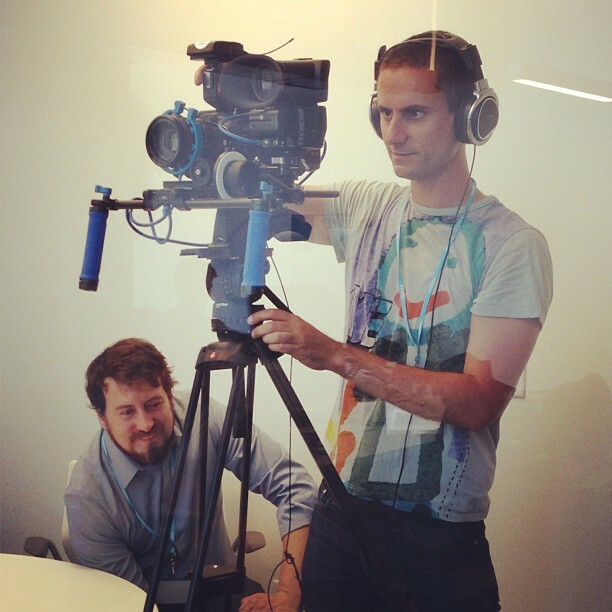 We spent the whole day yesterday filming a great story at Twitter HQ in San Francisco, CA. Although we can't talk about the specifics of the project, we can definitely say how amazing the people at Twitter were and how beautiful their campus is. Truly outstanding experience, and an honor to meet some of their teams. Scott Mason (left) from Oct28 Productions with Afonso Salcedo from Sutro Studios (right). We just had another successful and fun shoot with some fascinating people of Silicon Valley. These video shoots are always fun to do, since I get to hear a lot of what all kinds of different people do and work on.